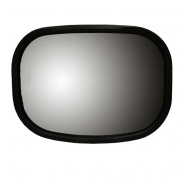 Durite commercial vehicle wide angle glass mirror heads and lens. 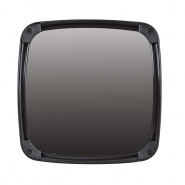 Durite box of 4, commercial vehicle flat glass mirror heads and lenses. Mirror head (293 x 210mm) to EEC spec. class VI with unbreakable glass. With mirror arm 440mm long, 19mm diameter to fit 16-28mm diameter arms. 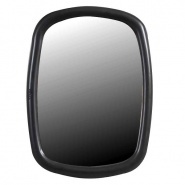 Driver safety mirrors and vehicle viewing mirrors from Arc-Components.com, standard commercial wing mirrors including the Spafax unbreakable mirrors, universal and extension wing mirrors for temporary rear-view solutions when towing caravans or large trailers. Durite circular mirror head manufactured to EEC specification Class Six. 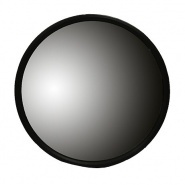 Circular mirror head (255mm diameter). 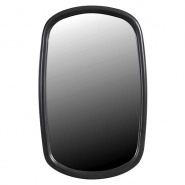 Durite Commercial vehicle convex glass mirror heads and lens. 362Mm x 174mm with clamps for 16 to 28mm arms. 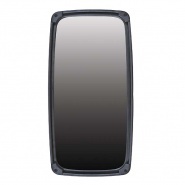 Durite Box of 2, commercial vehicle flat glass mirror heads and lenses, size: 254mm x 152mm (10″ x 6″).